MG958 is best choice if you need higher torque than 15KG. Excellent performace for RC-cars from 10 to 6-th scale truggy and monster and 30cc 60cc airplane. 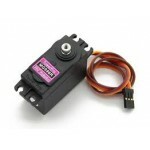 This servo draws high current while operation (upto 2 amp in stall). The Gear is made from metal and alloy. 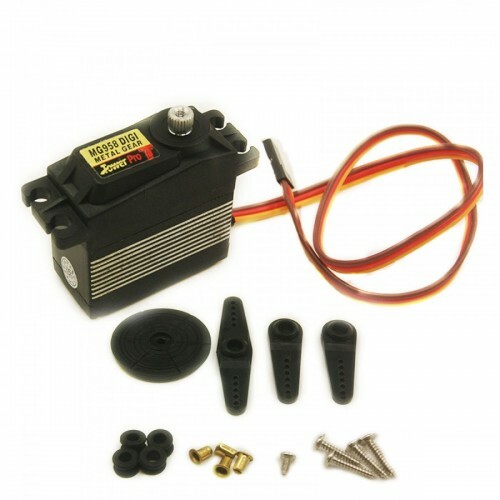 This is the upgraded verison of MG996R servo with more torque.High Torque is up to 20KG. 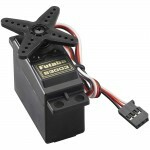 Excellent performace for RC-cars from 10 to 6-th scale truggy and monster and 30cc 60cc airplane. Usage:For 50 -90 grade methanol fixed-wing aircraft, RC airplane, 26cc-50cc gasoline, 1:10 and 1: 8 level sports car, SUV, truck, monster truck, climbing car, RC boat,and other models.